Maggie Cheng majored in Journalism and Communications and received her EMBA degree from the China Europe International Business School （CEIBS）. Cheng has been General Manager and Secretary-General of the China Entrepreneur Club （CEC） since its establishment in 2006. Cheng has 15 years of experience in the media industry, serving as a journalist, editor, producer and other managerial posts. The CEC has grown to become one of the most influential and representative organization of private sector business and leadership in China. Cheng has devoted herself to promoting the importance of China's private sector in driving entrepreneurship and innovation, as well as bolstering the global growth and impact of Chinese companies. Cheng initiated the annual International Visit of the China Entrepreneur Club, which has become one of the CEC’s most important projects, launching successful business missions to the United States（2011）, the UK（2012）, France/Belgium （2013）, Singapore/Australia（2014）, Germany/Italy（2015） and Canada （2016）. Each annual delegation has been invited by the highest level of government in the host countries. 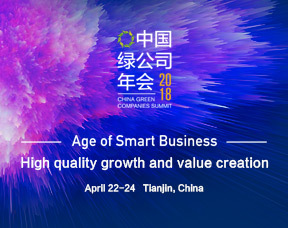 Additionally, the China Green Companies Summit founded by Cheng in 2008 has become one of the most well-known economic forums in China for business leaders to explore sustainable development and business integrity. The Summit attracts more than one thousand participants from China and around the globe each year on Earth Day.